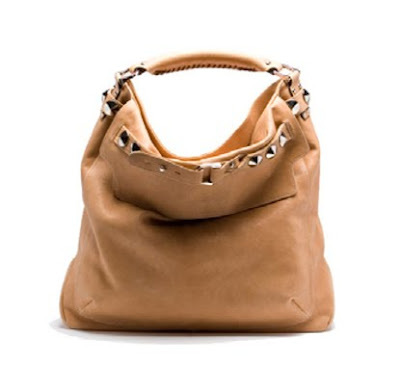 I thought that I was over studs, and I kind of am, but I LOVE this bag. The studs are understated and not overwhelming in anyway so I am cool with them. I love the shape of the bag and the length of the handle. I am very partial to hobos with short handles. If there is one thing I don't like it is a hobo with a long handle. There is something about it that just doesn't work for me. The proportions of this bag are perfect. I love the colour too, it is a great colour for spring. Another bag to add to my list of must haves! a.) I love studs til death. b.) I love this bag and the color is really clean and feminine!